Divided highway begins. 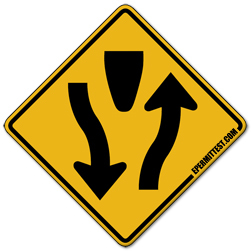 The highway ahead is split into two separate roadways by a median or divider and each roadway is one-way. Keep to the right.